Come learn with GOLDEN Working Artist, Nancy Seiler, at this demo packed full of valuable information about acrylics that will open up new possibilities! GOLDEN Printmaking with Acrylics, Stress Free! Join us for an in-depth lecture and demonstration of Printmaking techniques using GOLDEN Acrylics. Using repeated images as a theme, we will show you many stress free printmaking techniques, no fancy press required. 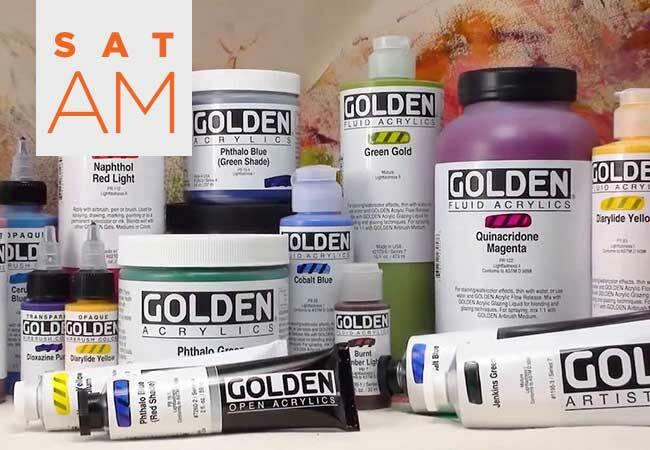 We provide an overview of the many surfaces available for printing, as well as the array of GOLDEN Acrylic Paints that are suitable for making multiple prints. OPEN, the new acrylic that stays wet for extended periods of time, is the perfect match. We also use QoR Watercolors for a unique monoprinting technique. This demo lecture doesn’t stop at the print. We also cover additive and subtractive processes, using High Flow and Fluorescent colors for printing and enhancing finished prints, and using GOLDEN Grounds and Gels for watercolor washes, relief prints, and collagraphs. Attendees will leave with new creative possibilities and ideas for small prints, greeting cards, journaling, fabric applications, as well as techniques for larger professional applications. Attendees will receive a selection of the products discussed to take home and explore the breadth and depth of GOLDEN’s professional product line. Perfect for artists of all levels! All participants will receive FREE product samples and a literature packet—including hand-painted color charts. Space is limited so RSVP online today using the Eventbrite registration form below! This demo has limited seating. Please RSVP if you want to attend. Born in Akron, Ohio, Nancy Seiler received her Visual Communications degree from The Art Institute of Pittsburgh in 1981. 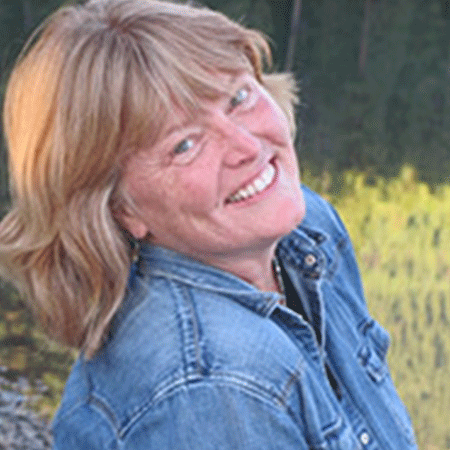 She is a Golden Artist Educator for Golden Artist Colors, teaching art workshops from her studio in Missoula, Montana and abroad. Seiler has exhibited her acrylic paintings and botanical illustrations since 2002. In the summer of 2014, she co-owned a successful pop-up gallery in Bigfork, Montana.